Celebrating our Scottish past and future. The sound of bagpipes fill the air, as great wines and seasonal winter flavours are served to guests beside the fireplace, to create the atmosphere of the highlands of Scotland. 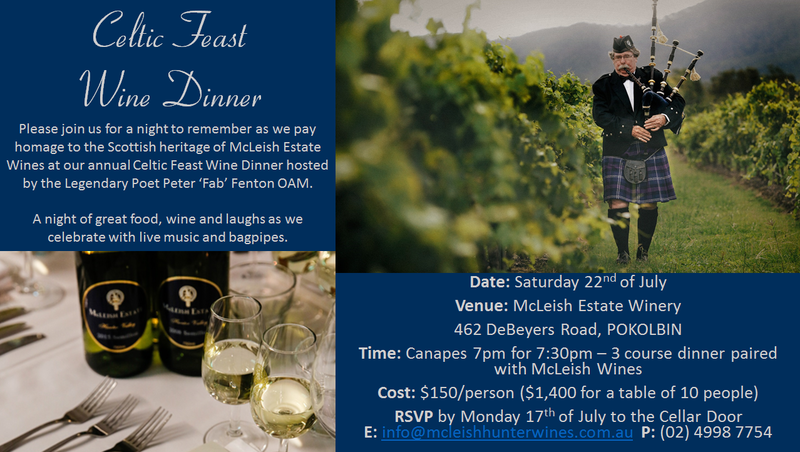 This year marks the 10th anniversary of McLeish Estate Wines annual Celtic Feast Wine Dinner. 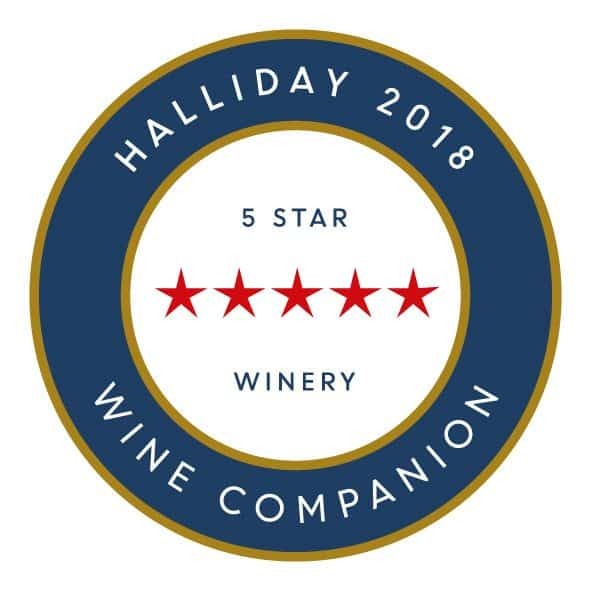 The evening is a spectical, as the winery successfully brings together the heritage of Scotland, with bagpipes welcoming and entertaining guests through the night, along with highland dancers and traditional Scottish cuisine. The theme menu sits happily alongside McLeish Estates premium current release wines and museum wines from the families private cellar. Each course will be presented in wine flights with Jessica McLeish providing an entertaining and educational insight into each of the wines. Owner Robert McLeish is excited to share the night with guests, many of whom have been part of the event since the very first year saying “It is a great event to showcase our wines with a difference. The Scottish history of our winery is the core of our family, we love sharing this with visitors and guests”. This year’s event will also see special guest Dr Fred McConnell, renowned Northern Territory (NT) Doctor, who has dedicated his past 50 years improving the health of citizens in remote towns both in Northern Territory and Sulawesi in Indonesia. Our MC Peter ‘Fab’ Fenton will return to host the night. Peter is famous for being the Chief sound mixer for over 150 Australian feature films. He wrote and co-produced documentary films on the Wallaby tours, he has written seven acclaimed books on Australian sport and played and coached first grade rugby in Australia. With his wit and humour, guests are sure to enjoy his many tails as a punter, poet, raconteur, rugby coach and part time drinker. The Celtic Feast is an evening of great food, wine and laughs as we celebrate with live music from the Hunter Valley Piano Man into the night.